Me and a couple of bloggers went to CALIFORNIABERRY Mezza Sta. Mesa branch two weeks ago to sample the offerings of Californiaberry. 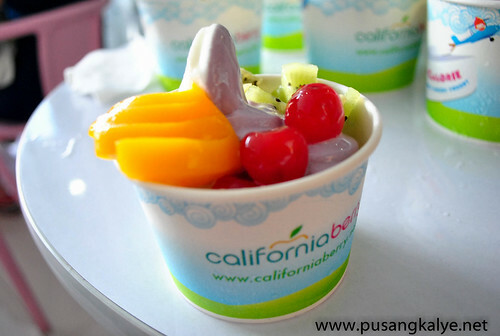 As we all know, Californiaberry is a pioneer of healthy dessert options in the Philippines. 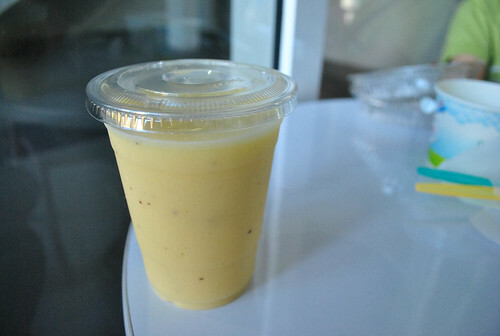 it is the only company to bring in the original ingredients from one of the biggest dessert chains in the US. The name CaliforniaBerry was derived from a simple reason that it originated in California with assorted berries as a favorite pair of most consumers of the product. Their main product is soft serve, non-fat, frozen yogurt. 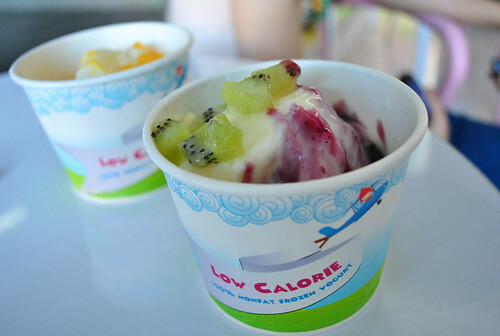 we are the only frozen yogurt chain the Philippines to guarantee 100% fat free yogurt servings. CaliforniaBerry’s frozen yogurt has distinctive similar physical properties of an ice cream, but surely a better dessert option since it is 100% fat-free.It’s also good to know that it only has a meager 25 calories per ounce, compared to two scoops of vanilla ice cream which has about 145 calories per serving--not including the cone,therefore, a healthier option. Enjoy the plain, fat-free CaliforniaBerry yogurt starting at 60pesos for small, 85 pesos for medium, and 115 pesos for large. 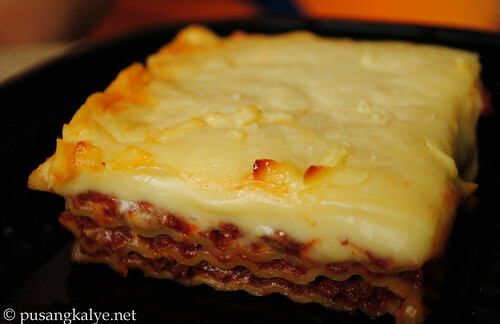 Order a medium or large size and add pizzazz to its unique flavor by adding your favorite three topping combinations for a price of Php30 pesos. Toppings available are from candies, cereal, chocolates, to syrup—with fresh fruits and nuts as constant favorite varieties. Chocoholics and candy lovers will surely go crazy with chocolate chip, white chocolate chip, M&M’s, cookies and cream, rainbow sprinkles, and marshmallow. While rice crispies, almond clusters, blueberry, cherry, strawberry, green apple, peach, pineapple, mango, kiwi, and banana double up the health benefits and taste of CaliforniaBerry’s silky smooth, natural yogurt. 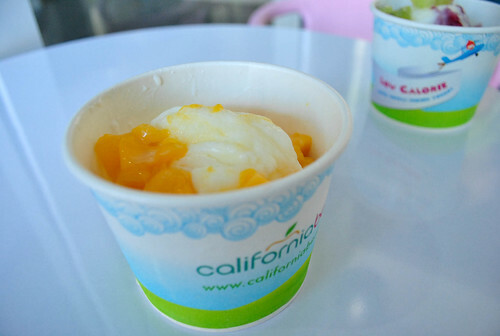 Customers can also try CaliforniaBerry’s Signature Flavors. 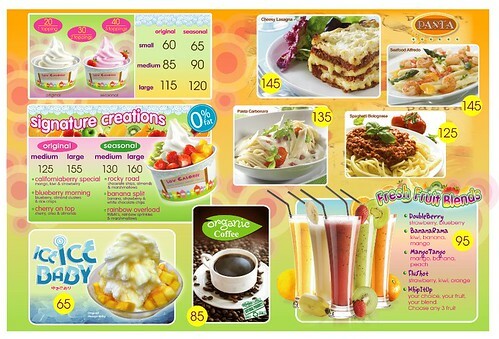 ICE ICE BABY---SHAVED ICE with Syrup where you can choose from a variety of fresh fruit toppings. If you avail of the Fresh Fruit Blends, you may whip up your own choice of 3 fruit variants fromMango, Banana, Kiwi,Orange, Blueberry, Peach and Strawberry. 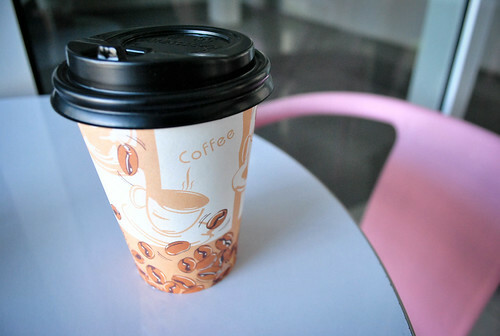 ---enjoy the new spin on their favorite brew with a bold and full-bodied roast of 100% organically grown coffee. Silver City, SM Megamall, RB Galleria, Tomas Morato,The Block, SM Southmall, Fort Strip, SM Manila, Taft, Waltermart Makati, Festival Mall, Banawe, SM Iloilo, SM Novaliches, Mezza Residences, BF Homes, Market Market.Gaisano Mall Davao. ang dami mo naman inorder hehe. 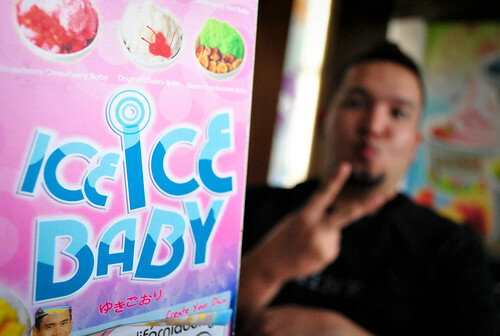 na curious ako sa ice ice baby nila so i tried it. parang malamig na cotton candy. Waltermart Makati ang closest sa location ko. 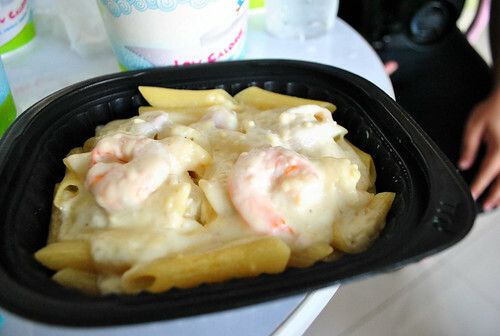 I'll have lunch there soon and try seafood alfredo + ice ice baby.